I decided I'd try to do the #100happydays challenge. I post a picture each day on Instagram of something that made me happy that day. Some days it's easier than others. Some days it feels impossible. But I'm halfway done and going strong. 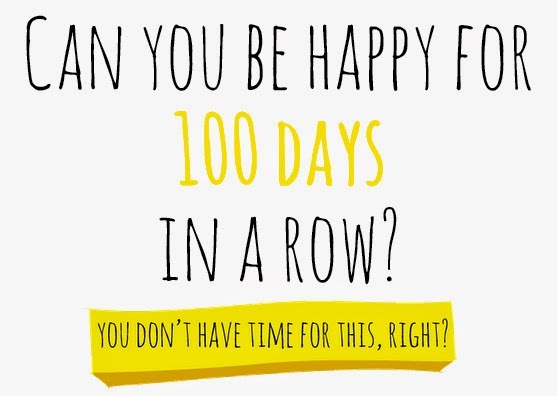 This kind of goes with my "be more optimistic" New Year's resolution. I am finding that it's easier now to notice what makes me happy every day. When I first got to site I had a hard time, and I kept a "list of accomplishments" document open on my computer. I tried to think of things each day that I had "accomplished" so I could feel better about myself. They ranged from: "September 1, 2014: Gave a speech (that I wrote myself) in Romanian to hundreds of people at First Bell!" to "August 7, 2014: It's 8:16 a.m. and I haven't cried yet, so already that's better than yesterday!" Just like some days my post for this is a selfie with the medal I just got from a 10K and other days it's just a quote that inspired me because I couldn't find happiness in much else that day. As for the rest of the list.. Be in a better mood? Maybe. Start receiving compliments from other people? No more or less than usual. Realize how lucky I am to have the life I have? Yes, most days. 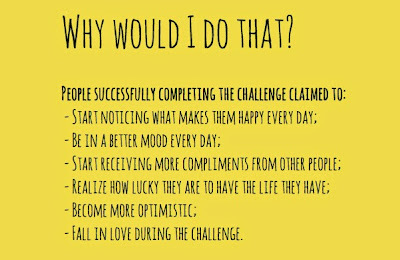 Fall in love during the challenge? Well, that's ridiculous, because I fall in love every day. So here are thumbnails from my first 50 days. 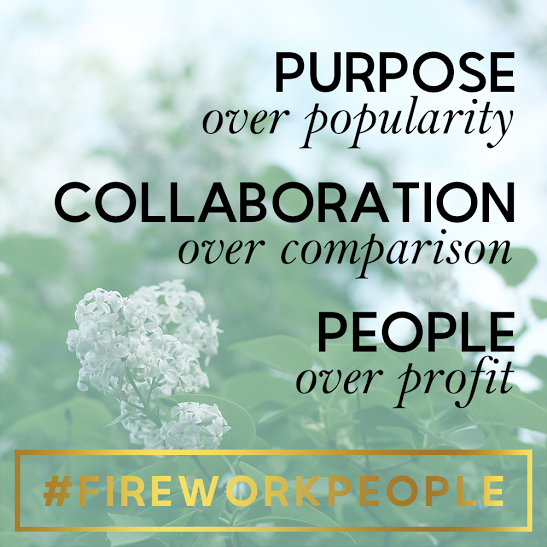 If you want to see the picture a little bigger, my Instagram feed is on the sidebar (to the right) or just click that link. My favorite picture: That cute newborn puppy for day 4. My favorite picture: My friends and me hanging out in my village, day 13. My favorite picture: The tulips blossoming, day 30. My favorite picture: It's tough to choose between horses, Iana and her bunny sweater, and the marathon. So I won't. My favorite picture: Okay, this one's tough too, but I'll go with crowd favorite, day 46, the goslings. Am I happy every day? No, of course not. I'm not a superhuman (or wait, am I..?). 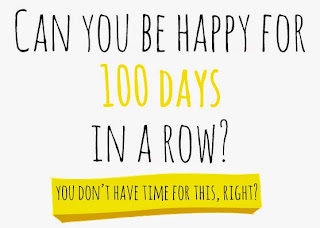 But I don't think the point of this challenge is to be happy every single day for 100 days in a row. It's to be able to appreciate the things in your life (big or small) that make you happy. And couldn't we all be a little more appreciative of those things?